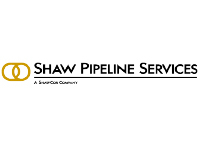 Shaw Pipeline Services is a division of ShawCor Ltd., a growth oriented, global energy services company specializing in technology-based products and services for the pipeline and petrochemical sectors, as well as other industrial markets. ShawCor has established a dominant position in its markets through an unwavering focus on global growth, flawless execution, technological innovation and organizational excellence. Shaw Pipeline Services is the name to know when it comes to pipeline weld inspection services. With over 30 years experience inspecting critical welds and more than 5 million welds inspected to date…our expertise is unparalleled!